Allied Health Professions (AHPs) are a diverse group of clinicians who deliver high-quality care to patients and clients across a wide range of care pathways and in a variety of different settings. They play an important role in modern health and social care services. 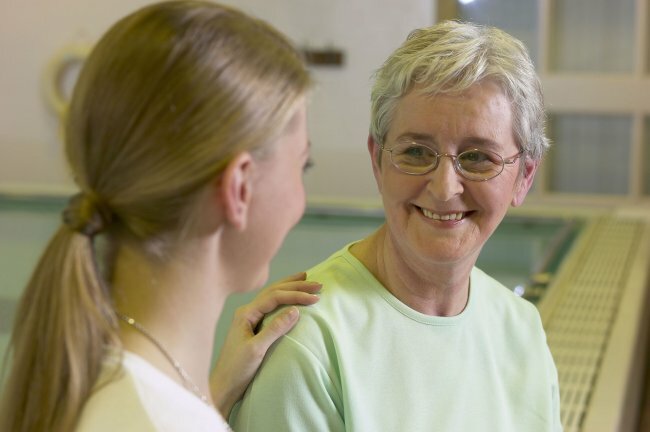 Practical interventions from AHPs are often significant in enabling people to recover movement and mobility, overcome visual problems, improve nutritional status, develop communication and everyday living skills, thus allowing them to sustain and enjoy quality of life even when faced with life-limiting conditions. The AHPs are autonomous practitioners which means they assess, diagnose, treat and discharge in their own right. They are regulated by the Health Professions Council (HPC).The HPC is in place to protect the public by maintaining a register of health professionals who meet their standards for training, professional skill, behaviour and health. All of the AHPs have at least one professional title that is protected by law, including those shown above. This means, for example, that anyone using the titles ‘physiotherapist’ or ‘dietitian’ must be registered with the HPC. It is a criminal offence for someone to claim they are registered with the HPC when they are not, or to use protected title that they are not entitled to use (privately and within the HPSS). If an AHP does not meet the standards of the HPC they will take action which may include striking the professional off the register. act as the trade union.